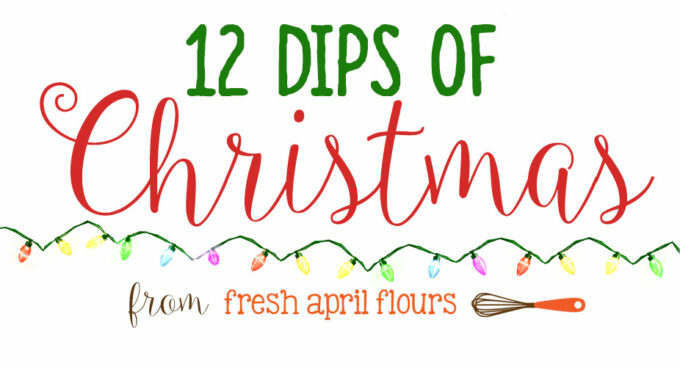 Day 2 of the 12 Dips of Christmas AND we’re giving away goodies! It’s a great Tuesday here at FAF! 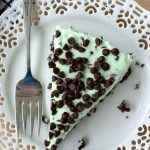 Are you planning to follow along with the dip party? 6 savory and 6 sweet. Yesterday, we kicked things off with spinach dip, so today, we’re all about the sweetness. 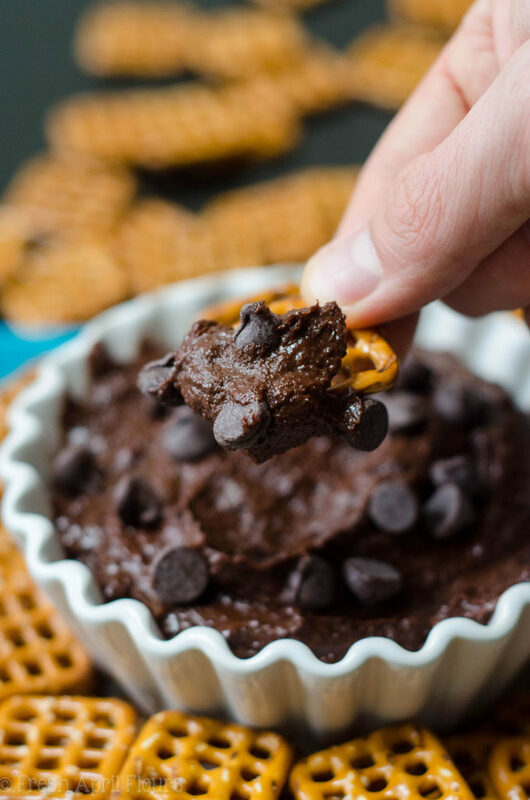 I’m really excited about this dip because, well, it’s BROWNIE BATTER that you can safely eat. No eggs. Not even flour. Just chocolate, sugar, and more chocolate. SO MUCH CHOCOLATE. 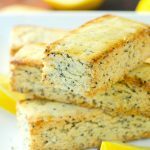 This is a recipe you’ve seen before if you’ve frequented FAF. 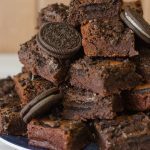 It’s the general outline of my very favorite, tried and true, very delicious scratch brownie recipe. 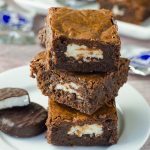 I’ve used it so many times here– in cookies & cream brownies, in game day brownie bites, in Peppermint Pattie brownies. It’s easy, it’s quick, and it makes incredible brownies. 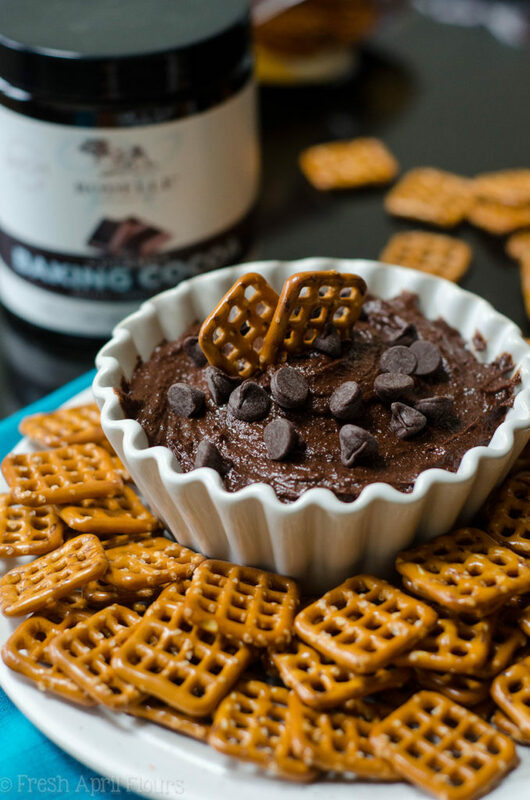 And, as it turns out, it makes incredible brownie batter DIP. Decadent, smooth, and everything you love about licking the bowl without the risk of getting sick. 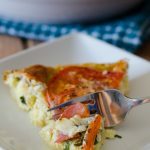 Though… If we’re being honest, that’s a risk I’m always willing to take, but I can’t advertise eating raw eggs on my blog because… Well… Salmonella. 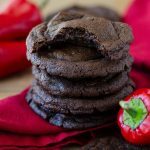 So instead of taking risks, I’ve taken the risk OUT for you and we’re left with plain old brownie batter sans eggs for dipping all of the things. Spoons included. 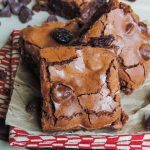 While the backbone of this recipe is my basic brownie batter, we’re using a special ingredient that I don’t normally use in my brownies: Dutch processed cocoa powder. 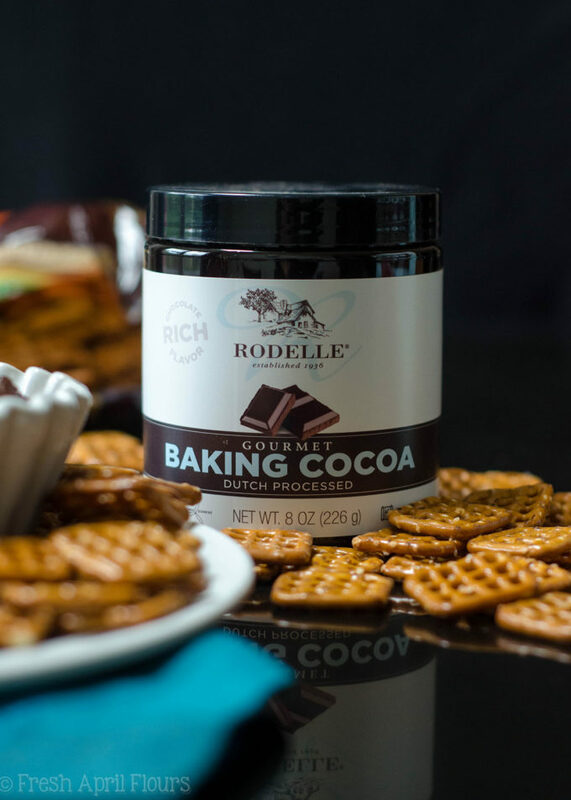 And if you’ve been here for things before, you may have seen I am a fangirl of Dutch processed cocoa powder from my friends at Rodelle! And, spoiler alert, Rodelle is giving away the goodies today. Including a canister of their Dutch processed cocoa powder for your baking adventures for the holidays! 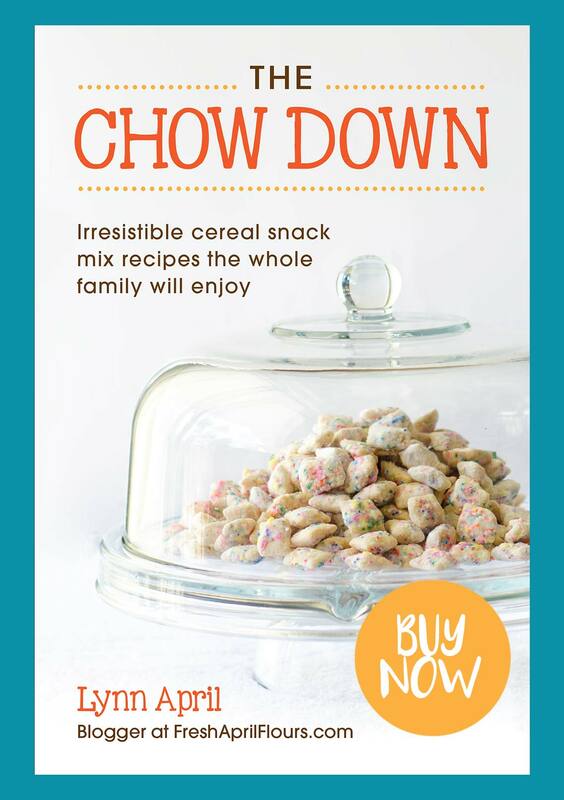 Scroll down to above the recipe for details about the giveaway. 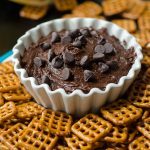 In this brownie batter dip, we’re using the Dutch processed cocoa powder in place of flour. 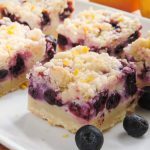 Since flour lends zero flavor to baked goods and is there for the purpose of essentially giving baked goods their guts and working insides, we don’t need any of that here. But we needed some powder situation to give us the mouthfeel of batter. And that’s where the cocoa powder comes in. Since we don’t have to neutralize any acidity in the smooth and mellow Dutch processed cocoa powder, we don’t have to worry about a metallic or weird flavor. It’s the perfect ingredient for what we’re trying to accomplish in this dip. We chose pretzels, graham crackers, and APPLES (!!) for dipping into this when we took it to a party, but really, anything that goes well with chocolate is fair game here. So are spoons. 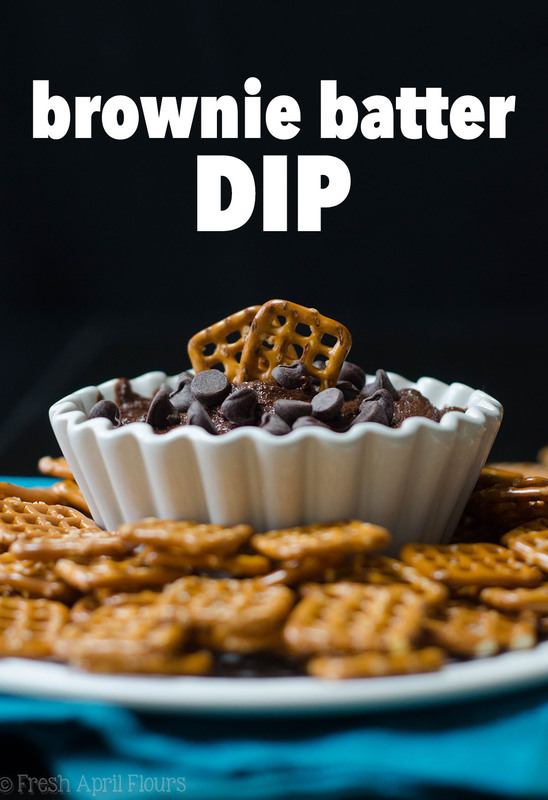 Like if you want to just make this up and lick it out of the bowl or off of spatulas, that is completely acceptable since this is exactly why I made this dip the way I made it: brownie batter is irresistible. 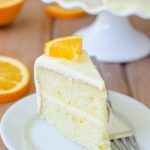 So now that you’re drooling all over the place, let’s talk about how you can enter the giveaway and what it’s all about! Comment below and tell me what your favorite holiday tradition is. That’s it! Winner will be picked randomly by comment number entered into random.org. This giveaway is open to the U.S. only. Giveaway ends on Thursday, December 6th at 11:59pm. 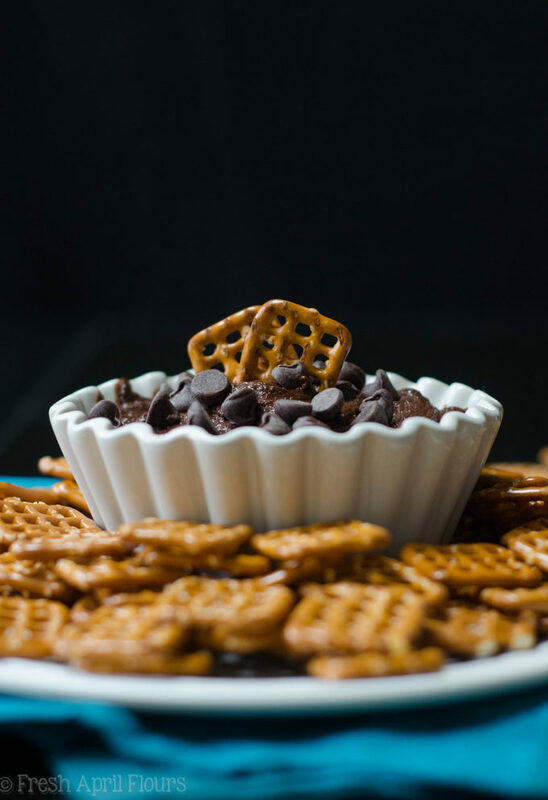 A supremely chocolatey dip that is everything you love about brownie batter without the eggs. 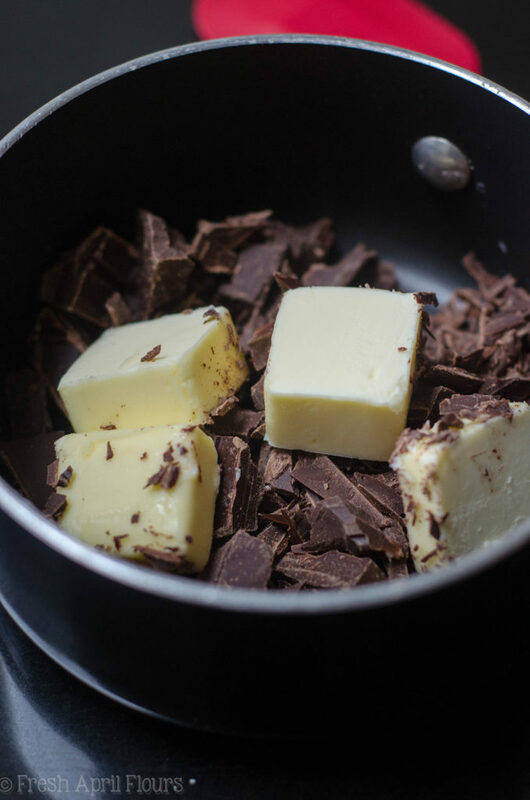 In a medium saucepan over medium heat, melt the butter and chopped chocolate, stirring frequently until completely smooth. Allow to cool for about 15 minutes. 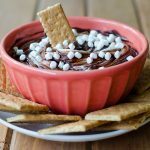 Pour the cooled chocolate into a large bowl or the bowl of a stand mixer. 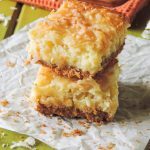 Using a handheld mixer or the stand mixer fitted with the whisk attachment, whisk the sugar into chocolate mixture until combined. Whisk in the vanilla. Add the cocoa powder and salt and whisk on low until completely combined. Increase the mixer speed to medium-high, add the heavy cream, and whisk until everything is combined and mixture becomes a little fluffier. 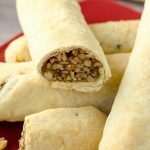 Allow dip to chill in the refrigerator at least 30 minutes before serving. 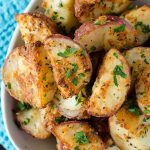 If refrigerating longer than 1 hour, allow dip to sit at room temperature for 15-20 minutes before serving. 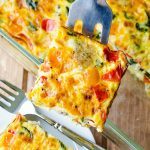 Leftovers can be kept in the refrigerator up to 1 week. My favorite holiday tradition is loading up the car and driving around to see all the lights and decorations. It’s a tradition my parents did with me. Hands down favorite tradition is driving around on Christmas Eve looking at all the lights! making rolled out sugar cookie and decorating them! My favorite Holiday tradition is having a game night with my family every New Years Eve! We usually end up getting too sucked in to the games and we’ve missed the start of the Ball Drop countdown many times. We have a tradition that my wife did as a kid and has passed along to our kids, where we make sugar cookie cutouts and each kid decorates their own cookie to leave out for Santa. My favorite tradition is going to see the Christmas lights, it brings back memories of my first Christmas with Ryan, before we even got together. One of my favorite holiday traditions is the 7 fish Christmas Eve Vigil dinner! I think my favorite holiday tradition is decorating the tree and spending time together to do it. 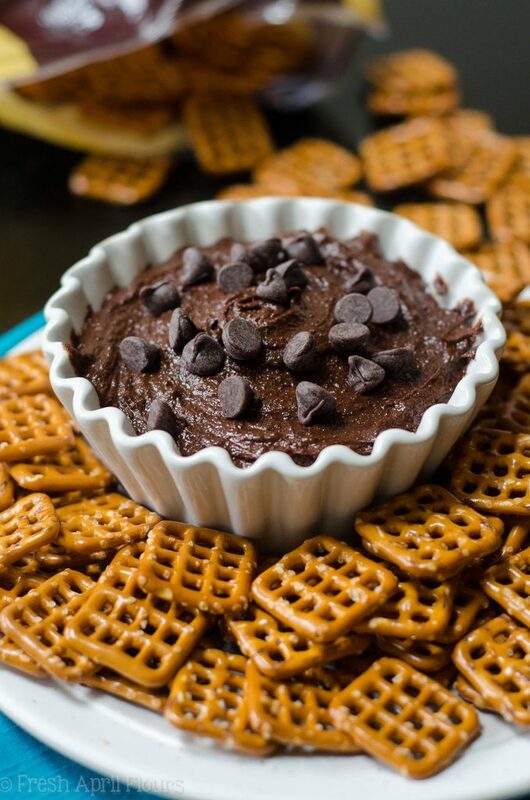 Also this brownie dip looks AMAZING! Our favorite Christmas tradition is picking a tree as a family, getting into our matching pjs and decorating to Christmas music playing in the background. And ending that night with hot cocoa and holiday movie all snuggled up together on the couch! My favorite Christmas tradition is Christmas Eve Diner, The Feast Of The Seven Fishes. We make sure that we have seven fishes prepared different ways. When my parents were alive we would have 40 or more people over now it’s just a quite, wonderful celebration with my close family and friends. Two (2) to share; Christmas season begins when I get my beloved nativity scene up (nothing else matters as long as that is out), and, Christmas Eve reading The Christmas Story from Luke 2 and then Twas’ the Night Before Christmas with the family gathered around the tree. On December 1st, we open up a present with Christmas PJs, do the first advent calendar door, and sleep under the Christmas tree while we watch a movie. It’s our favorite! Christmas Eve at my Aunts and Uncle’s house! It’s casual…it’s potluck…it’s awesome! Plus my Uncle is my mom’s baby brother so he and his wife are around my age. My Aunt’s family is a huge modge podge of awesome people I’m technically not related to but still consider family. Our kids just call them “cousins” and it’s fantastic! Our favorite tradition is seeing the Nutcracker and baking and giving cookies away to our township service people (police, firefighters, sanitation workers, librarians, etc). 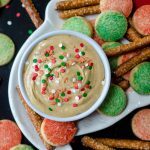 I always use your eggnog cookie recipe Bc it is sooooo good! Rabiya! You were picked as the winner! Please email me your address at freshaprilflours@gmail.com! Also, so glad you love that recipe. It’s a fav for Christmas! Putting up my Christmas tree with my family and eating cream chipped beef Christmas morning! My favorite tradition is reading “the polar express ” on Christmas eve. My favorite tradition is our family Christmas party with all my cousins on Christmas afternoon. My favorite tradition is making Christmas cookies with my Mom. She passed away 4 years ago so now I really enjoy making her cookies & sharing them with family & friends. It’s like I’m sharing her love with everyone this time of the year!